A key benefit of Inositol- If you have ever used or heard of Lipotropic vitamin B12 injections for weight loss and can’t stand the thought of getting costly weight loss injections, look no further. Inositol and our exclusive lipo-lytic blend will help with metabolizing fat stores and regulating insulin levels better. This is great for those who have a hard time losing weight or are diabetic. But please, speak with your Dr first! 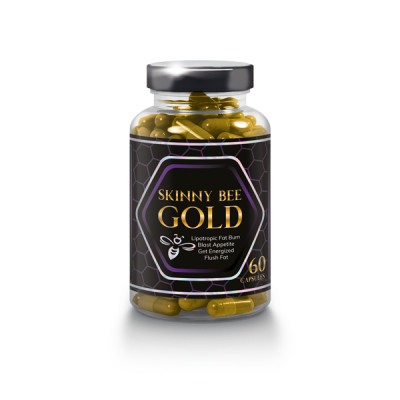 Skinny Bee Gold containsa vitamin and supplements blend with thermogenic supplement blend designed to naturally raise your metabolism, use stored fat as energy for a double threat against your fat cells. Remove the fat waste, shrink the fat cell by excretion and fat burning and flatten cellulite. If you have a desk job, no worries! We’re about to raise your resting metabolic rate.